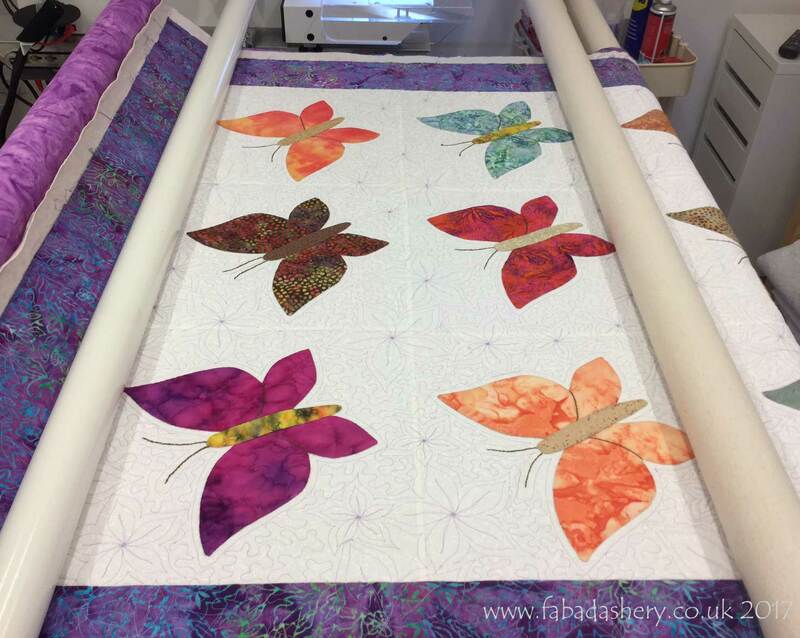 I have been flicking through the latest British Patchwork and Quilting magazine (February 2017) where there was an article about an applique workshiop being held at Busy Bees Patchwork in Newport, to make this beautiful Butterfly Quilt. 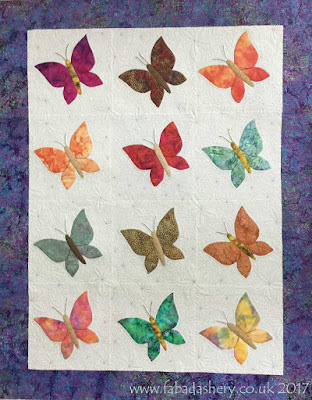 This quilt is made by Ann Stuart, who will be running the class, and I was reminded that I had quilted it for her several months ago. If you have visited the shop you may have seen it hanging up and you will be able to see the detail of the flowery custom quilting that I did on it.